Computer Repairs & Data Recovery. Apple Repair for Macbook Pro, iMac and more. Windows PC repairs for laptops & desktop systems. Express service. No Fix No Fee. No booking required. Laptop power issue or not turning on repair, screen cracked, keyboard replacement, liquid damage, data recovery service, virus removal..
We can remove/clean viruses from Windows PC or Apple Mac computers. If you’ve been hacked, PC Medic will remove the threats and secure your computer. Data Recovery. Service Centre Located in Ringwood, Melbourne. No booking required. Central Ringwood. Train / Bus station & Eastland Shopping Centre only 200 meters away. Diagnostics are completed promptly followed by contacting you to provide a no obligation quote. Once the quote is accepted, we promptly complete the service. We’ll contact you for collection. Credit Cards or Cash accepted. 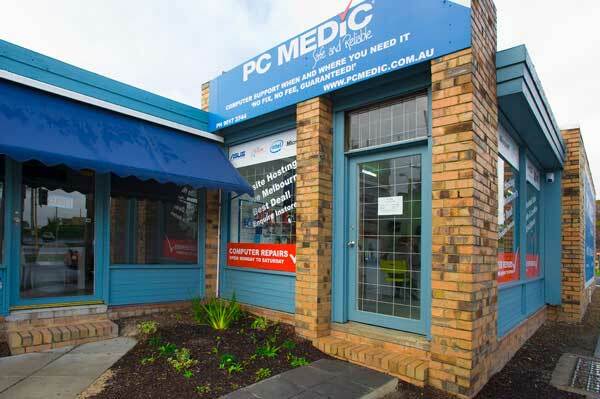 Computer repairs in Ringwood, Melbourne's Eastern Suburbs, made easy. Apple Macbook and Microsoft Windows PC laptop and desktop repairs in store. Prompt and affordable Data Recovery Service for your important photos, documents and emails. 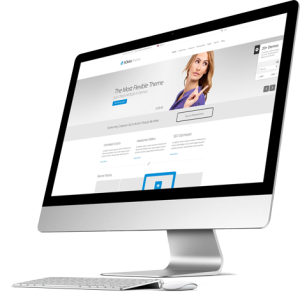 Why is In Store better than Onsite computer repair services? Security. Rather than having people be in your home or office, you can have your computer serviced fast in our workshop. No booking, just come along when you are ready. We have a dedicated service centre with all the tools and expertise to complete your repair from start to finish in one go at a fixed price. Onsite you pay by the hour and often onsite techs must take your computer ‘back to base’ for repairs as they don’t have all the tools and parts available. Same Day Service. We often can provide same day service where onsite services you may have to wait days or pay more for same day/urgent requests. Fixed Pricing and Quotes. In our service centre we provide a fixed price no obligation quote so you’ll know exactly what your service will cost you. For onsite computer services, providers usually charge by the hour so you can’t be sure of the final cost and often since time based, you still must pay the onsite technician even for a job not finished in full. A complete service. You provide us with your list of repairs or services you wish and all can be completed right here in our service centre. Onsite computer technicians often will have another customer to attend and can’t provide you more time. Here in PC Medic’s service centre we can work on multiple computers and data recoveries simultaneously! Fast, easy and affordable. All major computer brands supported for repairs, upgrades and hard drive data recovery in Melbourne. Apple, HP, Dell, Alienware, Asus, Acer, Lenovo, MSI, Razer, Samsung, Microsoft, Gigabyte, Asrock, Intel, nVidia, AMD, Seagate, Western Digital (WD), Hitachi, Verbatim and many more well know brands. We also provide a Data Recovery Service in Melbourne for all brands to recover photos, data recovery for files such as documents and emails. Data Recovery can be performed at our Melbourne service centre on computer or laptop / desktop internal Hard Drives / HDD, USB Drives (USB Stick recovery or sometimes called USB Thumb drive) and external backup drives. We also perform Data Recovery on NAS drives configured for RAID mirror and striped configurations in Melbourne. We can also recovery data on Apple Time Capsule drives. Windows 10 not booting after update / updating. Windows 10 can’t log in after updates. Windows failed update. Windows 10 failed after update. Apple Macbook Pro not booting after updating. iMac not booting after update. Apple failed update. Apple MacOS not booting. Apple OSX not booting or loading. Apple Macbook Pro faulty hard disk repairs and data recovery. Apple Macbook spilt liquid damage repaired. Not turning on after liquid spill. PC Laptop liquid spill repairs. Apple Macbook Pro keyboard replacement. Macbook Display cracked or damaged replaced / repairs. PC/Windows Laptop cracked or damaged display replaced / repaired. Apple Hard Drive upgrades. Macbook Pro upgrade HDD to SSD to improve speed. iMac Hard Disk Drive upgrade to SSD or standard drive to increase capacity / free space.